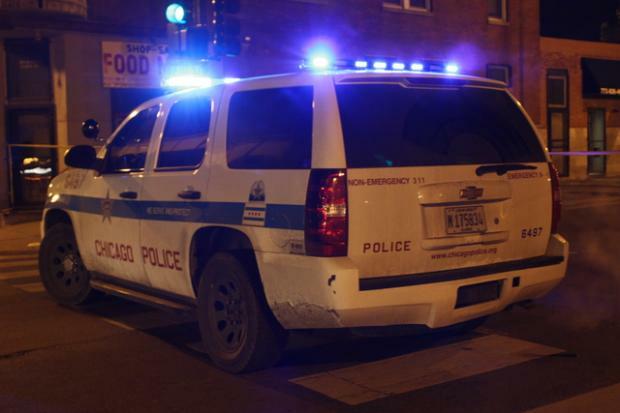 The woman was walking to a friend's house around 7:30 p.m. in Logan Square when she was robbed at gunpoint, police said. LOGAN SQUARE — A 59-year-old woman was robbed at gunpoint while walking to her friend's house Wednesday evening, police said. The incident happened around 7:30 p.m. in the 2500 block of North Bernard Street, according to Officer Brandi Wright, a Chicago Police Department spokeswoman. The woman told police she was walking to a friend's house when a man ran up to her, took out a gun and demanded her belongings, Wright said. The man then stole her belongings before getting into a green car waiting nearby and driving off. Police describe the suspect as a Hispanic man between 100 and 125 pounds with curly hair, a blue shirt and a hooded sweatshirt.